Gauge 30 stitches to 10 cm/4"
A wonderfully soft and unique quality. 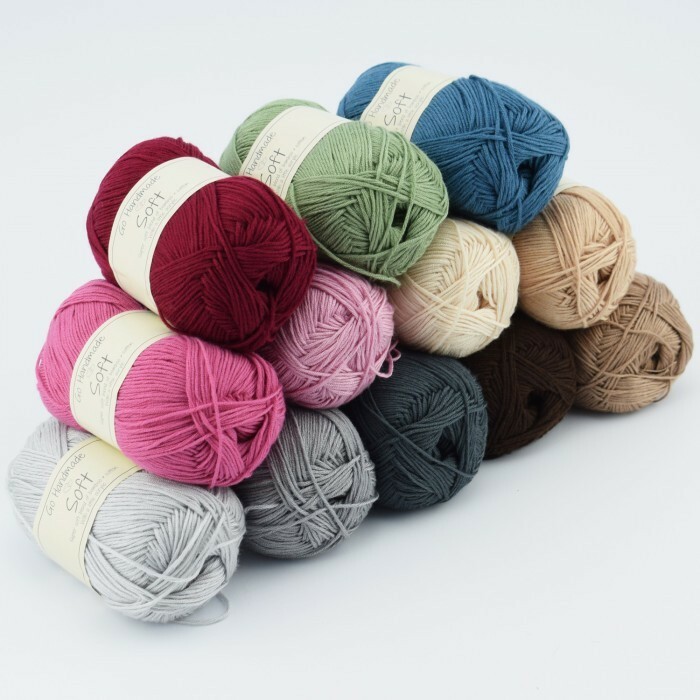 The bamboo in the yarn gives the softest experience and ease, the cotton gives the firmness and the little acrylic makes the yarn extra-strong. The yarn is suitable for all kind of knit and crochet, but especially for Baby, swaddles, blankets and shawls. 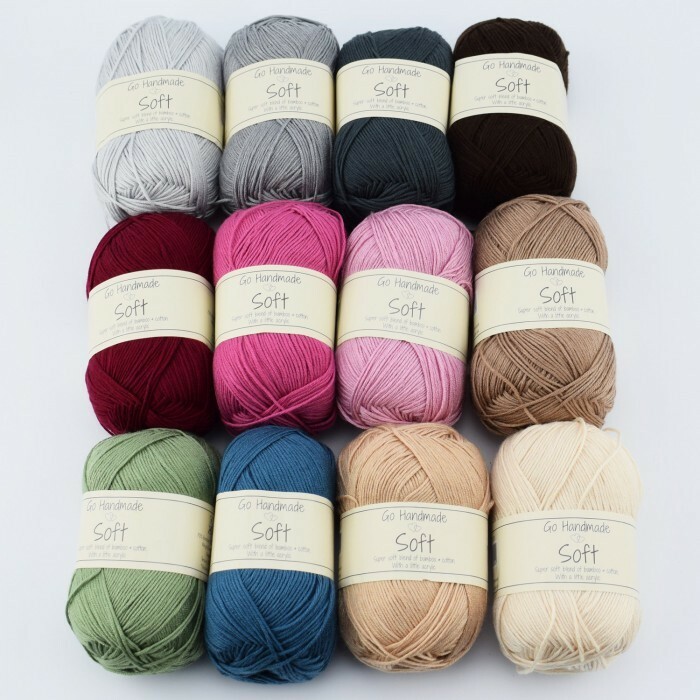 Soft also consists of 6 fine threads. I've recently received this, but as yet haven't knitted with it. The yarn is lovely and soft with a beautiful sheen. The colour I chose is Rosa which is gorgeous. Having just been knitting with pure silk there is a similarity with the sheen of this yarn and I suspect the definition will also be very good. I've found the perfect pattern for this andI can't wait to get started!